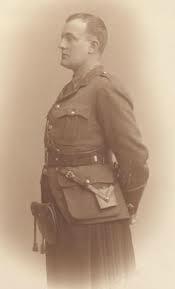 Lieutenant Walter Thomas Patrick Spens (Royal Scots) is killed in action at age 36. He is the son of Sheriff Walter Spens of Strathaden Troon Ayrshire. Bombardier Frank Glaysher (Royal Field Artillery) dies of pneumonia on active service at age 22. His brother was killed in October of last year. Private Michael James Gallagher (Canterbury Regiment) is killed at age 39. His brother was killed last September.